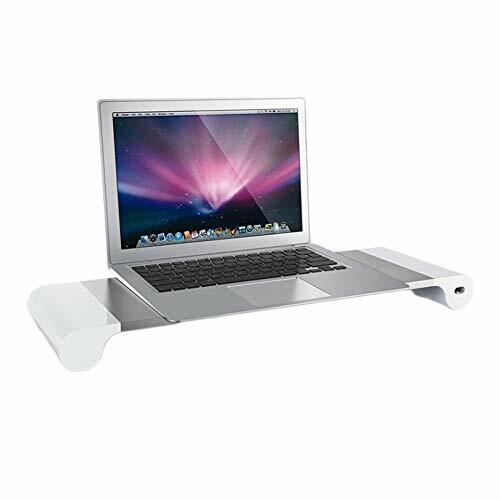 You can now take action and feel better by simply elevating the monitor using the monitor stand as this reduces stress on your neck, shoulders and your back while promoting a straight posture and reducing problems for your body. 4 ports quick charge right at your fingertips on your desktop to charge your mobile phone, plug in your hard drives/power banks, desk fans, table lamps and anything that has a USB connection. When you are not using your computer pc or laptop, simply tuck the keyboard under the monitor stand keeping your keyboard clean and new also away from spilled coffee! Better display your laptop ,computer monitor,TV, speaker and well storage your office stationery, glasses and cellphone,etc. Not deform easily, its weight capacity is up to 55 lbs. If you have any questions about this product by Lalago, contact us by completing and submitting the form below. If you are looking for a specif part number, please include it with your message.